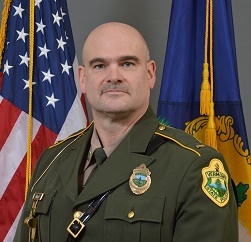 A few years ago, when Daniel Withrow was a Northfield police officer, he was called in to help inspect a vehicle that had been seized after the driver was pulled over for erratic driving and suspicion of marijuana use. In the years since that incident, from 2013 to 2015, heroin overdose deaths have increased by 170% in Vermont, according to the Vermont Department of Health. 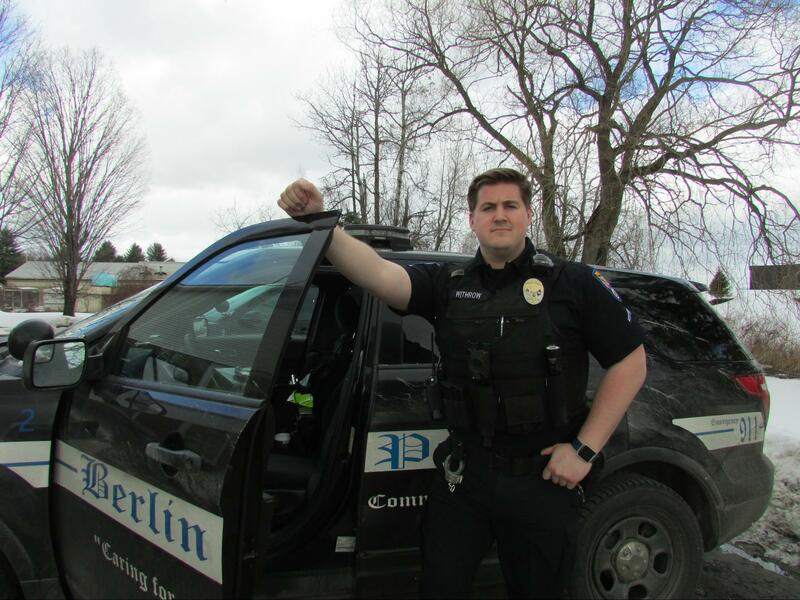 Today, Withrow is an officer with the Berlin Police Department. He and his fellow officers deal with the effects of opiates routinely. Withrow and Lieutenant Matthew Nally Sr., a Vermont state police officer of the Middlesex Police Barracks, spoke about the challenges of their work. Officer Daniel Withrow outside his police vehicle. Break-ins and robberies committed by addicts in order to financially maintain their habit are widespread. According to the FBI, burglaries in Vermont have increased from 3,501 in 2000, to 4,179 in 2012. One question for law enforcement is the effectiveness of incarceration versus rehabilitation. Washington County offers Drug Treatment Court, a mix of the two approaches. During enrollment in drug treatment court, a team of law enforcement, legal advisors, and drug treatment professionals work with the participant to combat their addiction, as well as providing punishment for their crimes, such as community service. Random drug tests are used to ensure success in the program. According to the Rutland County Adult Drug Court Evaluation report, in 2009, participants had nearly half as many re-arrests as their non-participating counterparts. And as a bonus, it saved the criminal justice system $15,977. All Vermont state police officers are required to carry Narcan, a lifesaving drug that can reverse a lethal overdose. Currently, forty four states allow officers to carry Narcan, and thirty nine states allow prescriptions of Narcan to third parties. 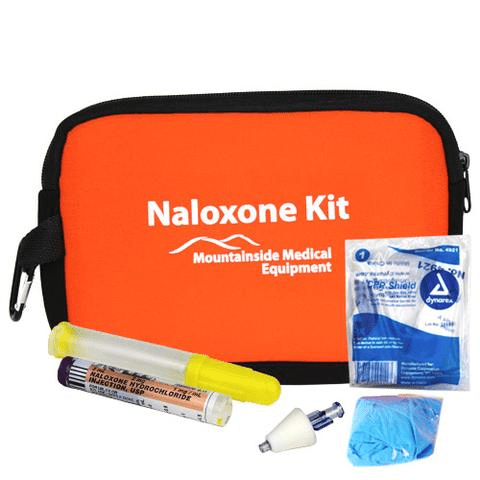 A standard Narcan (aka Naloxone) field kit. He and his fellow officers have no qualms about using Narcan to save lives. “I know multiple officers who have had to administer Narcan,” says Lt. Nally. Another important reason officers carry Narcan is to protect themselves from exposure to dangerous drugs. “An officer here was exposed to fentanyl searching through a car and had to get treated at the hospital,” explains Officer Withrow.